Scott – In ten seconds, what do we need to know about you? KT – I’m a Canadian sci-fi / horror writer living in the lower mainland area of British Columbia. 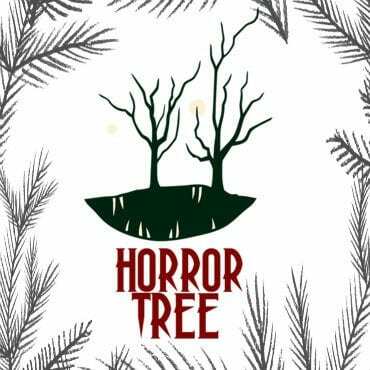 I enjoy organizing and hosting events for writers, including a monthly workshop at a local theatre, and I’m attempting to organize a Metro Vancouver chapter of the Horror Writers Association. However, horror writers are not common in my part of the world. Either that, or they are good at hiding from me. Scott – Well, part of horror (and writing) is lurking, right? They could be around there somewhere. From reading your bio, I understand that you grew up reading speculative fiction. Who were your major sources of inspiration? KT – Growing up, I spent a lot of time in libraries. Fortunately for me, the science fiction and fantasy sections were well-stocked. When I was quite young, my mom took my sister and me to the library every two weeks. I read everywhere, including while I walked to school, and I sat at the back of class and hid novels in open textbooks. The books that have stayed with me are Stephen King’s The Stand and Salem’s Lot; Daphne Du Maurier’s Rebecca and Jamaica Inn; John Bruner’s The Sheep Look Up; Robert Heinlein’s Stranger in a Strange Land; Isaac Asimov’s Foundation series; William Peter Blatty’s The Exorcist; Walter Miller’s A Canticle of Leibowitz; Roger Zelazny’s Chronicles of Amber series; and Farley Mowat’s Never Cry Wolf. I credit my mom with my love of reading. Scott – Quite a list! But you also wear a nonfiction hat from time to time by penning essays and editorials, right? How did you get started in that? KT – I started writing nonfiction articles and editorials as a teenager. I worked on the school newspaper and yearbook. My first published piece was a letter to the editor of The Globe and Mail newspaper in which I expressed an opinion about the province of Quebec and my hope for a united Canada. I currently write a monthly op/ed column for a local newspaper called Citizen’s Ink. Previously, I wrote a bi-weekly column about public education for five years. Scott – I read some of that column. You have a passion for literacy, and public education policy and reform. Can you give us the short version? KT – Writers and their readers are among the most literate members of society. Because we tend to surround ourselves with those who share our interests, it is not always obvious to us that a large number of adults have minimal reading and writing skills and are unable to read for pleasure. This makes me very sad. A majority of adults never read another novel after they leave high school, and many have trouble reading and comprehending simple instructions, such as prescriptions. Our prisons are filled with illiterate, functionally illiterate and low literacy individuals. Social status and job prospects are tied to literacy levels and close to 40 percent of North American adults suffer because of low literacy. At the same time, education research has shown that more than 90 percent of children reach full literacy with the right supports and teaching methods, so where is the disconnect? It’s not an easy answer. I’ve been advocating for reform since the early ‘90s and by-and-large, our public schools have only changed by minute degrees. The political inertia and institutional complexity is incredibly frustrating. We can and should have a public education system that prepares students for the challenges of the 21st century. Full literacy is a minimum. Writers have a stake in this, for obvious reasons. If we each devoted even a little time and resources to this issue, I believe we could affect significant change. Scott – Given all of that, how did you end up writing speculative fiction? KT – I love the what-if aspects of science fiction. I’ve always enjoyed extrapolating change, particularly the unintended effect of legislation, scientific advancements, and inventions. The constant is human nature—that doesn’t change, but it’s endlessly fascinating. I’m also drawn to the what-ifs of history and enjoy writing alternate history. Scott – Yes, human nature does tend to get in the way, sometimes. What are some of the common, recurring themes in your novels and short stories? KT – Isolation, family relationships (particularly between women), unintended consequences, tribalism, man’s-inhumanity-to-man, and environmental challenges. I often write about older protagonists, and I like twisting current issues into myth and fairy tale retellings. Scott – Those are some heady topics. It seems like it would be difficult to wrap your head around them. What do you feel are the most difficult aspects of writing? KT – For me, it’s writing an initial draft. All of the possibilities can feel overwhelming at times. I tend to write from character with only a rough idea of the plot. I admire writers who can write a detailed outline and then follow that script, but it hasn’t worked for me. I discover the story in the first draft, so my process is likely much longer than it needs to be. Scott – You know, that’s pretty common with the writers I talk to. You’ve got some who can just engineer their plot and their characters, but many stumble through their first draft purposefully and learn the broad strokes of the story as they go. If that’s the most difficult aspect for you, what’s your favourite and least favourite part of the writing process? KT – Writing an initial draft is my least favourite part of the process. I don’t even call it a first draft until the second stage. It’s more of a discovery process. I love researching so usually I have to force myself to stop that part and get down to putting actual words on a page. Once I know my characters and have a rough idea of plot, I’m much happier and the process becomes enjoyable. (The first part is satisfying but not particularly fun.) I also write my first drafts in longhand and I find that helps, but it’s never easy. Once I have an initial handwritten draft, I then type it into my computer. I revise as I transcribe, and I consider that draft my first draft. I love editing and revising. It’s a nurturing, sculpting process and the only part that frustrates me at times is how long it takes. Scott – Wow. A handwritten drafter? I haven’t seen that as part of the process in a long time! That just goes to show that there’s more than one way to write. What advice would you give someone just started out? KT – Keep at it. It’s incredibly frustrating to have characters and a story in your head when it just doesn’t translate to the page. Writing fiction is an art, but it’s also largely a craft with a skill set that must be learned and practiced. Work hard and be patient and open to feedback. Don’t let your ego get in the way, and you will improve over time. Scott – One interesting thing to note: You primarily write short fiction. Why did you choose to go this route, rather than novel writing? KT – About six or seven years ago, when I first turned from writing nonfiction to writing fiction, I spent a year writing and revising a novel. It taught me a fair bit, including how much I still had to learn. Taking classes and workshops introduced me to short story writing. 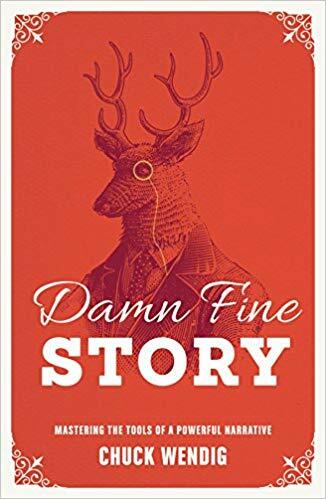 Short stories provide an opportunity to try different genres and styles without committing to tens of thousands of words and at least a year of my time for each effort. I also started reading short fiction, and I now love the form. Scott – That’s a different take than many writers I hear from, where the novel is the goal. What advice would you give for someone looking to break into the short story market? KT – First, always make time to improve your craft. There are many excellent resources available: podcasts, online articles, array of writing books, and some excellent workshops and programs available both on-line and in-person. For the latter, I recommend LitReactor.com, Richard Thomas’s workshops and Carina Bissett’s classes at The Storied Imaginarium. Try something like the Ray Bradbury Challenge: for one year, write a short story every week and read a short story every day. It was a great experience. I didn’t quite manage to keep up, but I ended the year with more than forty new short stories. Submit! A lot! Aim for one hundred rejections a year. Resist the urge to submit early drafts and only submit your polished pieces. Scott – Great advice and resources! I think the rejection grind is what steamrolls newer authors, but even seasoned veterans get rejected before getting a piece through. On that note: What’s next for you on the writing career path? KT – I’m primarily a short fiction writer, but I’d like to complete something longer, if only to challenge myself. Writing a novella seems like a logical next step, so this summer I’m focusing on writing and revising a novella to the submission stage. Scott – What’s one excerpt from your work that you feel most defines you as an author? KT – I like to write a bit of a satirical edge and the older characters in my stories are almost always doing something interesting. I think “Grandma Heloise”, published at Daily Science Fiction, is a good example of this. KT – My website, http://northernlightsgothic.com, includes a publication list and many stories are available to read for free. I also have a blog, which I need to pay more attention to. Thanks for the opportunity to share a bit about myself and my writing.